10 reasons why you should fall in love and visit Cambodia! From the amazing sightseeing spots to turbulent history, colorful culture, to the great cuisine! This is a no brainer—there is no getting around this impressive historical masterpiece. No matter how many times you have seen it photographed, or heard about it, nothing compares to the first time you see the outline of the temple at the beginning of day break. The park, named an UNESCO World Heritage Site in 1992, is immense, stretching over some 400 km2, including forested area, and containing the magnificent ruins of the Khmer Empire from the 9th to 15th century, To name a few, the famous temples of Angkor Wat, Angkor Thom, Bayon Temple, and of course, Ta Prohm (made famous in the film Tomb Raider), all reside within the park. The Angkor Archaeological Park is located 6 km north of the town of Siem Reap, and is easily accessible by bicycle, car, motorcycle, or tuk tuk. While the Angkor Archaeological Park offers travelers a glimpse into the glory days of old in the Khmer Republic, more modern sites in or around Phnom Penh such as the Toul Sleng Prison (a school modified into a prison during the Pol Pot Regime) and Choeung Ek (the Killing Fields), present a somber remembrance of the recent events of Cambodia’s history. In order to understand and appreciate the modern Cambodia, it is necessary to take a look at where it has been. While most visitors to Siem Reap are there only for the Angkor Complex, it is worth taking some time to appreciate the old-world charm of the colonial architecture within the city itself. With cute French fusion restaurants, a bustling night market and lively night life, Siem Reap is a great place to rest during your time in the area. When you are tired of temple gazing and shopping, 15 km south of the city, is the Tonle Sap Lake, the largest freshwater lake in South East Asia. Here is an opportunity to view a distinctive ecosystem and cultural way of life different to the town of Siem Reap. The floating villages on the lake and among the tributaries of the river are not to be missed. Around a quarter of the population, (nearly 2 million) in Cambodia was killed during the genocide under the Pol Pot regime from 1975-1979. Nowadays, the population is close to 15 million, with an estimated 93% of Cambodians practicing Theravada Buddhism, and while the poverty rate has been halved from 2004-2011, Cambodia is still a very poor country. Despite these recent hardships, the Khmer people are considered some of the most warm and generous people in South East Asia. The smiles of the locals are infectious, and it is common for the citizens of this country to interact with foreigners in a genuine and curious way. all easily accessible by boat or ferry from their respective ports. Besides the beaches, Cambodia offers a great respite for rest and relaxation in many of the sleepy towns along the coast, such as Kampot and Kep, very near Sihanoukville. Kampot’s main attraction is its tranquil riverside setting and run-down colonial-era architecture, while a 1 to 2 hour drive outside of the city will bring you to the old abandoned French hill station of Bokor National Park, which can offer an eerie glimpse into Cambodia’s past and a look at modern intervention in the future. Another famous attribute of these areas is the Kampot Pepper which is cultivated here, with tours readily available of the multiple pepper plantations in the region. After visiting the beaches and islands around Kep, travelers can visit around 100 colonial French Villas, mostly destroyed after the fall of the Khmer Rouge, or some of the national parks in the surrounding locale. As with its neighbors of Laos and Vietnam, Cambodia also has the Mekong River weaving a lifeline through its territory. A cruise along the Mekong River can present an amazing occasion to view the river life along the banks within the country. 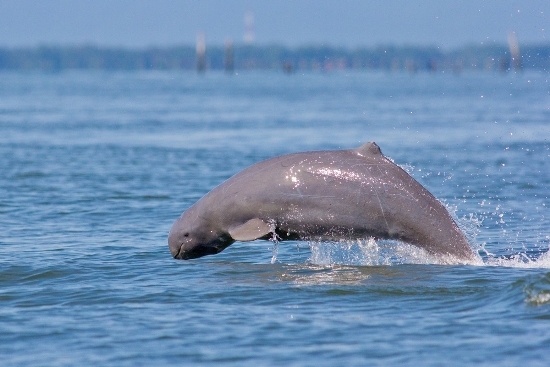 Another interesting tourist attraction to note is the Irrawaddy Dolphins in the north of Cambodia. Located in Kampi Village, about 15 km north of Kratie, it is considered one of the best places to see the dolphins in actions , as there are only a little over 80 dolphins left in the Mekong River. If resting and relaxation does not interest you, never fear, as Cambodia is also a great destination for adventure travel. A great place to visit for adventure is the wild Koh Kong in Cambodia’s Cardamom Mountains. From this city, islands, mountains, jungles, rivers, waterfalls, and mangrove forests are all easily accessible for those that are not faint hearted. Jungle trekking in the Cardamom Mountains in Koh Kong can offer an opportunity to visit a relatively untouched part of Cambodia. Other activities available include dirt biking, kayaking, camping, and fishing like the local Khmer fishermen. Although Cambodia is well-known for appealing to budget travelers, the country also offers everything posh travelers would expect of accommodation, service, activities, and exclusivity. Cambodia has a wide range of lodgings, from small mom and pop bed and breakfasts to 5 star hotels for a fraction of the price you would pay in Western countries. Cambodia is a great destination all on its own, but can also be combined with other countries for those who wish to experience even more on their trips. 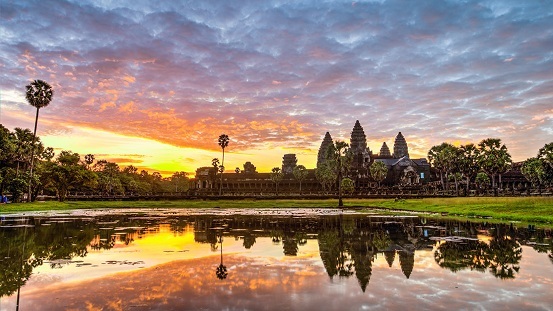 Phnom Penh and Siem Reap are well-connected via flights to the neighboring countries of Vietnam, Laos, and Thailand. For adventurous travelers with ample time on their hands looking for cheaper transportation, Vietnam, Thailand, and Laos are also accessible via road by bus or car. In addition to air and land travel, Vietnam is also easily reached by speed boat or river cruise from Phnom Penh to Saigon.